Cosper, Mike. Recapturing the Wonder: Transcendent Faith in a Disenchanted World. Intervarsity Press, 2017. Do you ever feel as though you are living in a world where believing what is contained in God’s Word seems outlandish? Where living it out with any kind of consistency or awe seems impossible? Maybe you are. Here’s the problem: “Christians and non-Christians alike are disenchanted because we’re all immersed in a world that presents a material understanding of reality as the plausible and grown-up way of thinking” (p. 10). Those are the words of author Mike Cosper, and they come from his new book, Recapturing the Wonder: Transcendent Faith in a Disenchanted World. Recapturing the Wonder is a journey through the struggle to reclaim consistent awe at a point in history where everything begs us to accept only the natural. Much has been written about the problem of secularism as it relates to our capacity for wonder, and Cosper draws on this corpus of work, referencing thinkers that range from David Foster Wallace to James K.A. Smith. Intervarsity Press. 180 pages. $22.95. While Cosper is able to draw on these scholars, he also gives us what many of his contemporaries lack: a prescriptive analysis of the situation. That is, he doesn’t just describe what has gone wrong and how we got here; he prescribes solutions that are very personal and yet find themselves rooted in Scripture and the practices of the ancient Church. In the “Pathways” sections that follow each chapter, he encourages readers to try spiritual disciplines and explains how these disciplines can be worked into the rythms of our lives. A variety of spiritual disciplines are taught in the Bible and were commonplace among the early Church, and yet we hear very little about most of them today, having lost them to our skeptical age. The author contends that recovering such practices could actually open up a new way of being whereby we can teach ourselves to see the world in a different light and bring the reality of our faith to bare on even the most mundane aspects of our everyday life. Exactly what disciplines does the author walk through in this book? There are several, but two that stood out to me were fasting and feasting. In Cosper’s own words, “Fasting and feasting, in regular rhythms, call us to the sorrows of the world that awaits redemption and the foretaste of redemption that we have now in Jesus Christ” (p. 107). Far from being empty rituals, such disciplines could actually be a means of deeper communion with our Lord and with one another. A pastor I once knew closed every Sunday morning service with the same proclamation, “Remember, we live in a world where a resurrection happened.” Those words always tumbled around in my head from one week to the next. It was a call back to an enchanted world, where such a thing as the resurrection of God’s only Son isn’t just possible: it’s real in every moment. In that world, we can marvel at what God has made and what He is doing all around us. 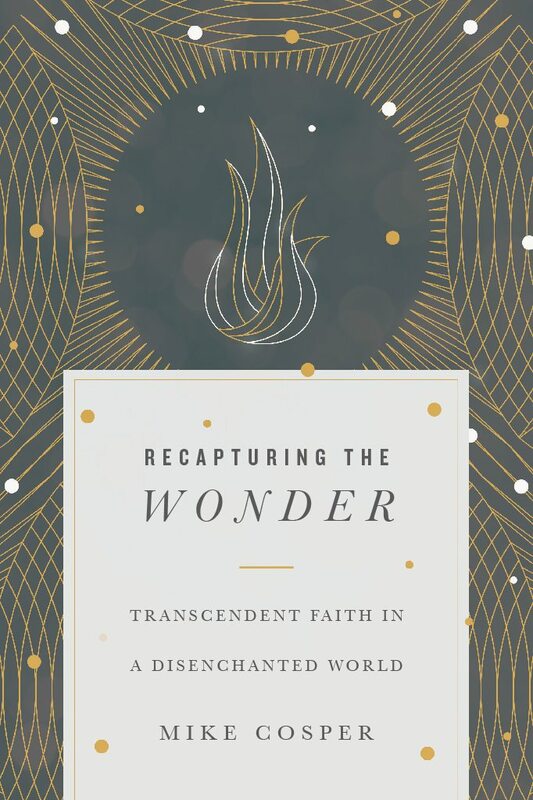 In Recapturing the Wonder, Mike Cosper warmly invites us – in a practical, beautiful and Biblical way – to lives that are wholly oriented around the story of God’s Word. I would highly recommend this book as it is both accessible and practical. It may also prove to be a great point of entry for anyone looking to dig into more philosophical texts on the subject, such as James K.A. Smith’s Cultural Liturgies series.